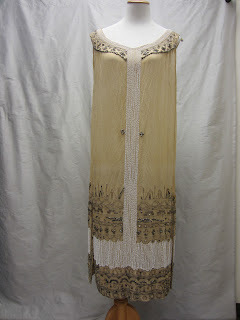 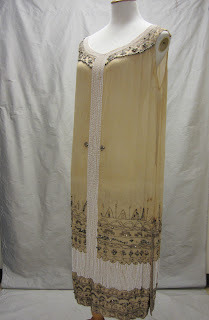 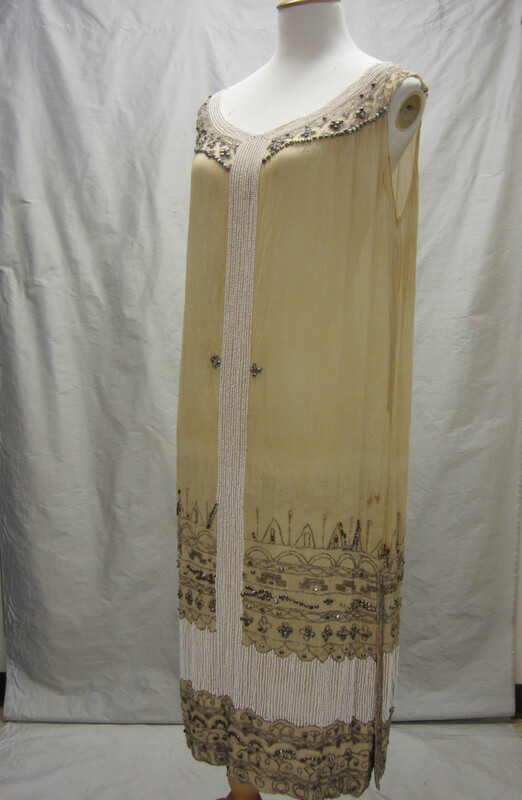 Gorgeous, authentic 1920s flapper dress. This rare find is a perfect example of early 20s fashion. 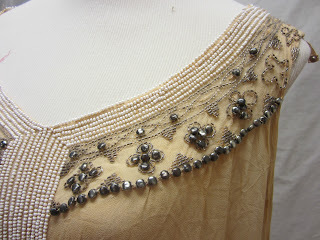 This dress has not been cleaned, the ivory colored chiffon is dry, with some underarm discoloration, but no rips or tears. 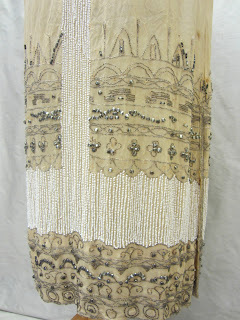 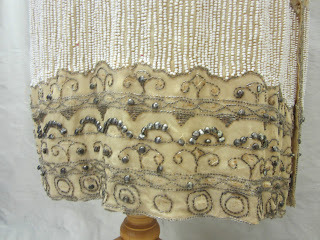 There's a spot of discoloration on the right hip, above the the beading (see photo). 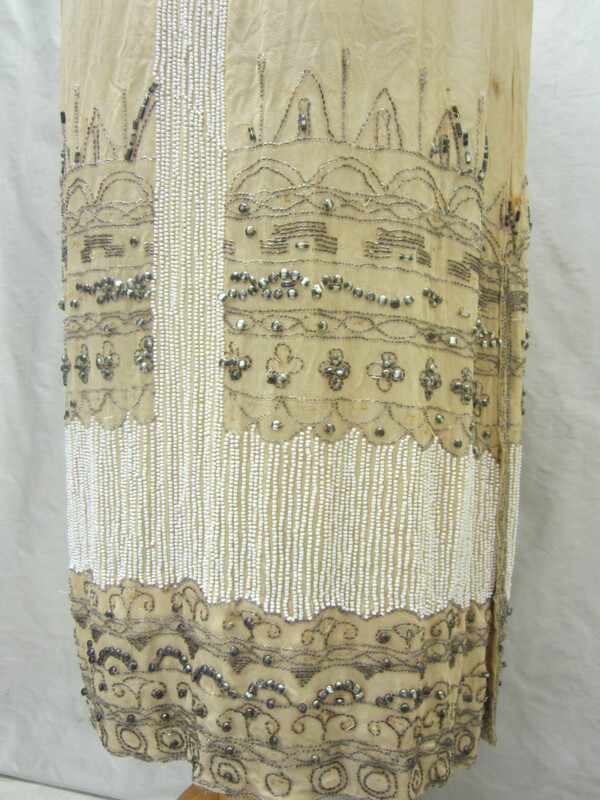 The beading is largely intact, though some metal discs have come loose, the ones we have will be sent to you along with the dress. 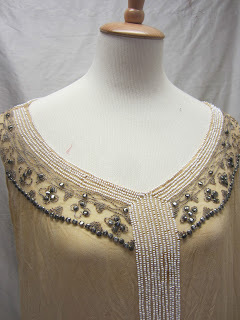 Bust measures 46", waist measures 46", and hips measure 48".